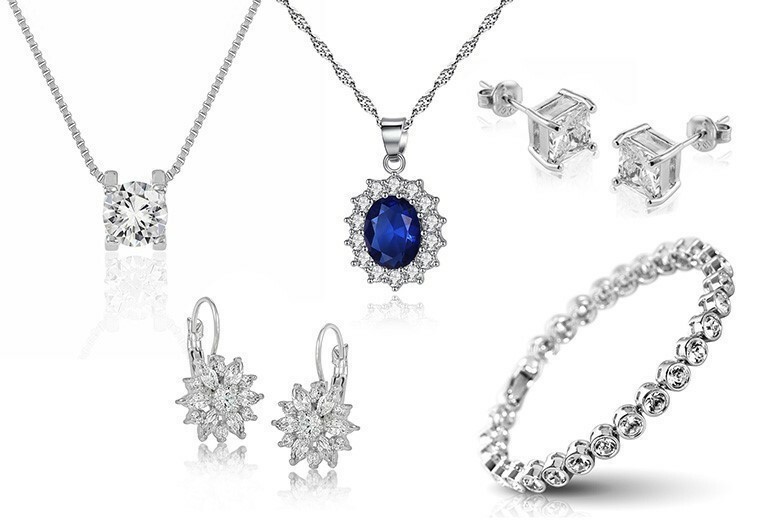 Get a beautiful crystal jewellery piece to update your jewellery box. Choose from a bracelet, earrings or crystal pendant (two colours)! Perfect as a gift for any occasion. Timeless classic design featuring dazzling high quality cubic zirconia crystals. Comes with a velvet storing pouch. Each item includes a complimentary pair of earrings!